Lets face it, there are too many amazing things attached to being a celebrity. Sure there are also the battles against pain, failure, mediocrity, drugs, addiction and loss, but only a cynic would focus on these things. The list of positives largely outweigh the negatives. You can create art if you are truly capable, you can change or impact the world a lot more than an average person, you can have interact with some amazing people, travel anywhere you want, buy whatever your heart desires and even own any pet you please. 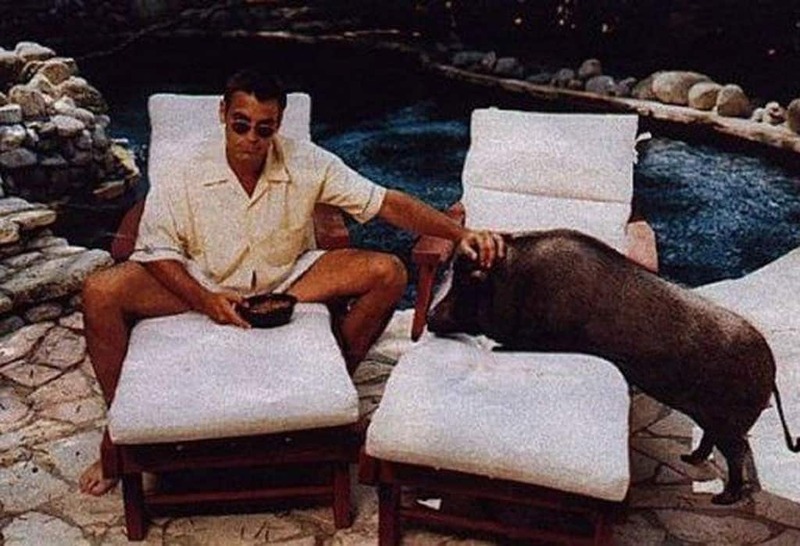 Here is a list of 10 celebrities who enjoyed a taste of the good life by owning some exotic pets. You don’t expect some one like George Clooney to own a dog, that would be stupid and boring. The man with the golden hair had a pot belly pig called Max for 18 years, before Max passed away in 2006. A classy and sophisticated lady such as Audrey Hepburn wouldn’t be caught dead with a poodle in her bag. 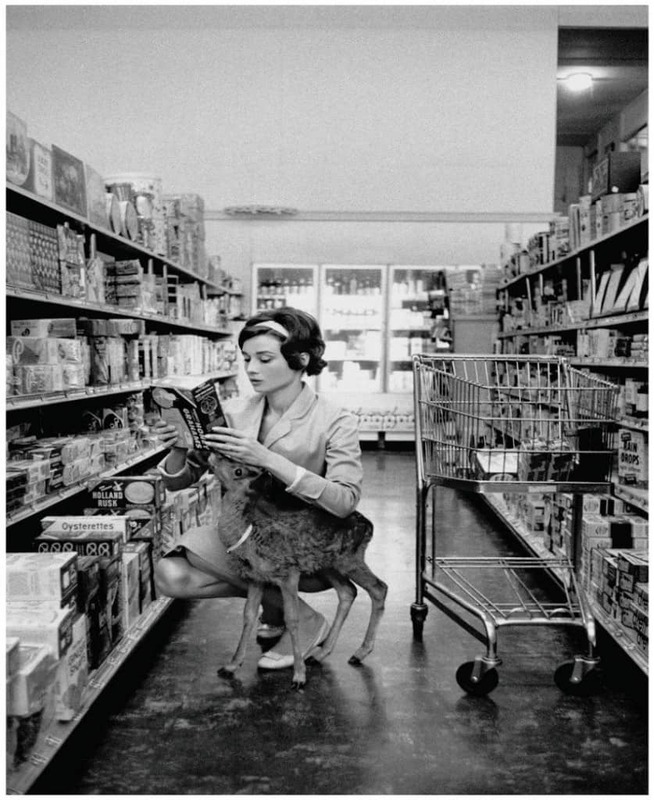 She had an awesome pet, a fawn by the name of Pippin. Even the name Pippin is so classy and old timey. 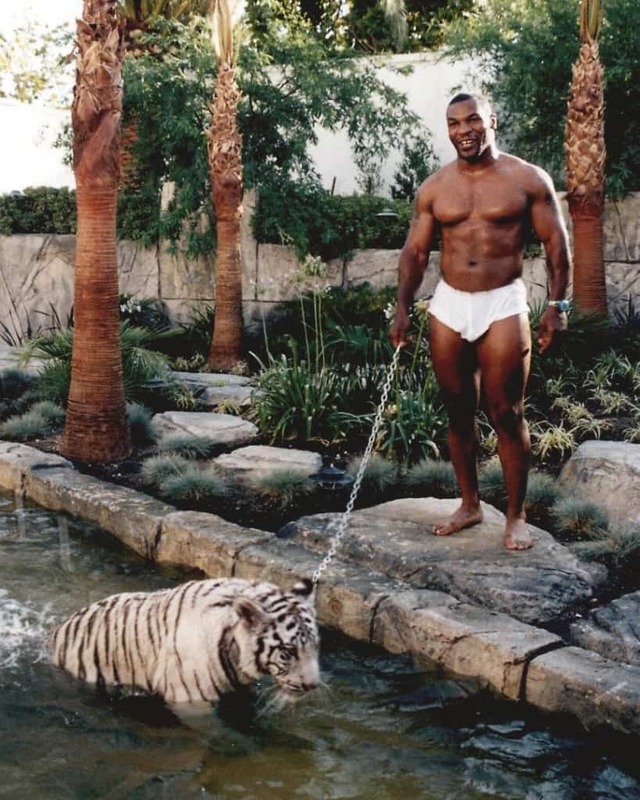 The Boxer and the Tiger famously appeared in the comedy film ‘The Hangover’, before Tyson had to give up the tiger because he got too broke. In the Twilight series, Kirsten Stewart may have chosen the vampire over the werewolf, but when she had to choose a pet in real life, she went with an amazing wolf-dog crossbreed. 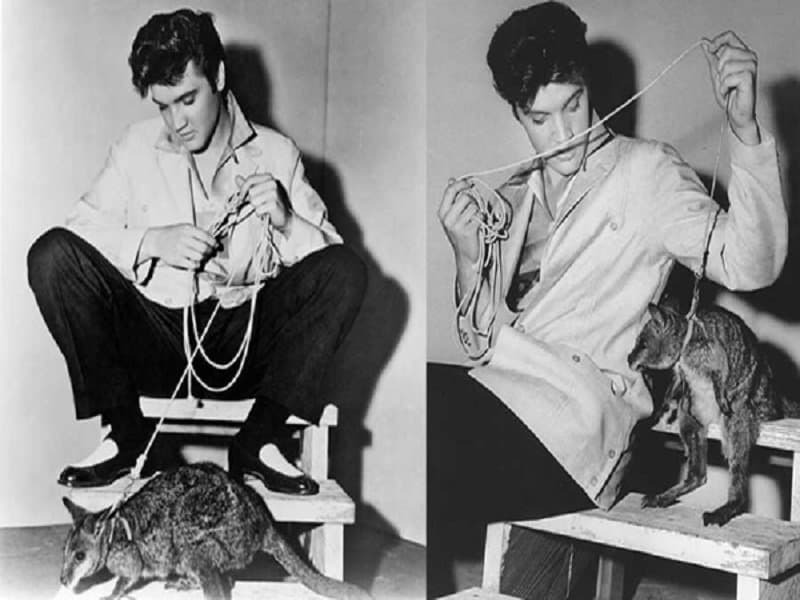 Elvis Presley was famously gifted a Kangaroo by legendary Hollywood agent Lee Gordon. We’re not sure that gifting someone a Kangaroo is legal, but that’s a great way to get into the good books of the king of rock ‘n’ roll. 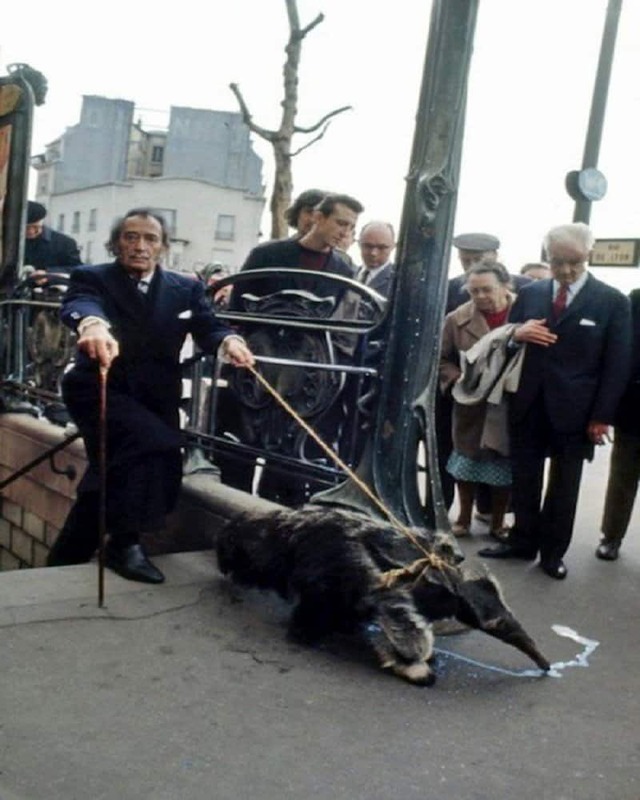 An artist with the caliber and notoriety of Salvador Dali would obviously have a strange pet, and it doesn’t get much stranger than an Anteater. Being a legend in Hollywood was not enough for actress Tippi Hedren. 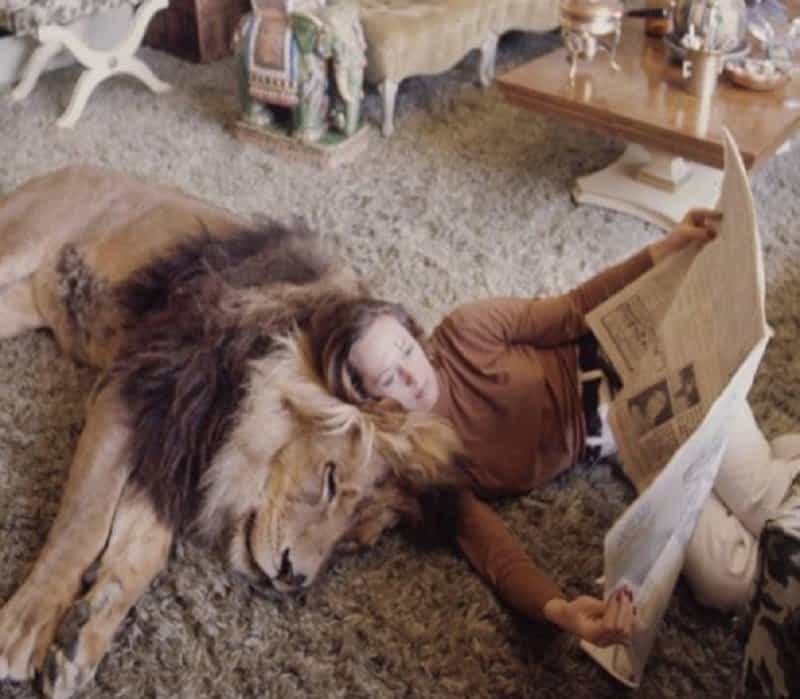 She loved animals and even had a pet Lion for many years before becoming the founder of the Shambala Preserve. Tori Spelling didn’t just get a chicken like most people who want a ridiculous pet. She decided to get the most exotic kind of chicken there is, a Silkie Bantam that she named Coco. 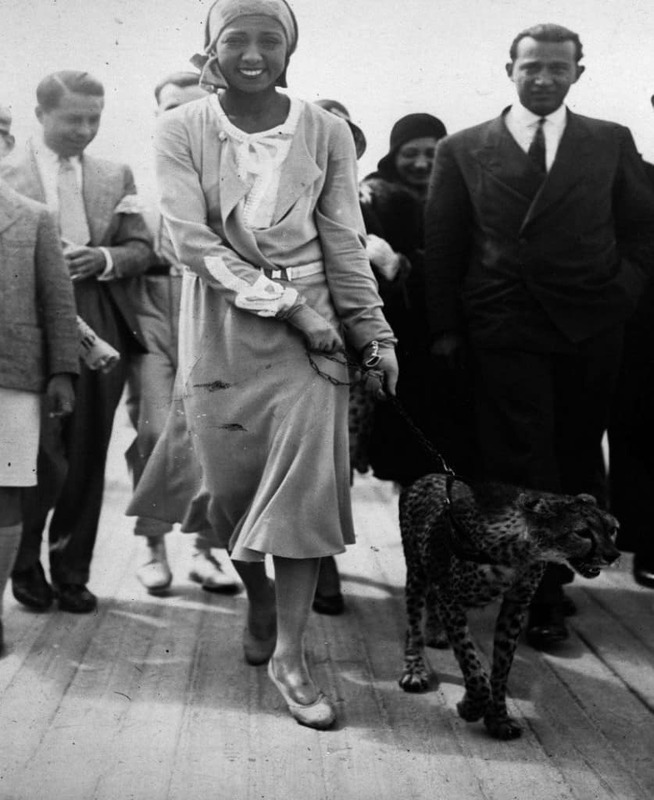 Josephine Baker was a powerhouse performer who could act, sing and dance extremely well. She naturally deserved to own a pet that reflected her powerful yet feminine persona, and nothing powerful like owning a pet Cheetah. She called her pet Chiquita and was seen quite often walking it around her place of residence. Megan Fox does have a tendency to turn most men into pigs, which is why she probably got herself a pet pig and named him Piggy Smalls.